The purpose of this publication series is to call for outstanding research results in Japan and abroad, have them screened and reviewed by the editorial committee of experts outside of academics, and then release them as commercial publications from Kyoto University Press. The publication is considered part of the activities of CIAS as a joint usage / research center. In particular, we aim to share studies that compare areas and focus on their relationships as well as information related to area studies. Further, we publish promising research results with an eye to breaking new ground for area studies, such as area informatics, as we seek to become an international information channel that explores the frontier of area studies. Flows and Movements in Southeast Asia: New Approaches to Transnationalism. Kyoto University Press. December, 2011. 3. Yusuke Murakami, Hiroyuki Yamamoto, Hiromi Komori eds. Enduring States: In the Face of Challenges from Within and Without. Kyoto University Press. March, 2011. 2. Ken-ichi Abe and James E. Nickum eds. Good Earths: Regional and Historical Insights into China’s Environment. Kyoto University Press. February, 2009. 1. 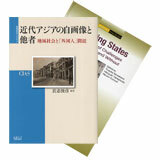 Wil de Jong, Lye Tuck‐Po & Abe Ken-ichi eds. The Social Ecology of Tropical Forests: Migration, Populations and Frontiers. Kyoto University Press. March, 2006.